Although Clarence would argue to the contrary, we are not making dog treats today. 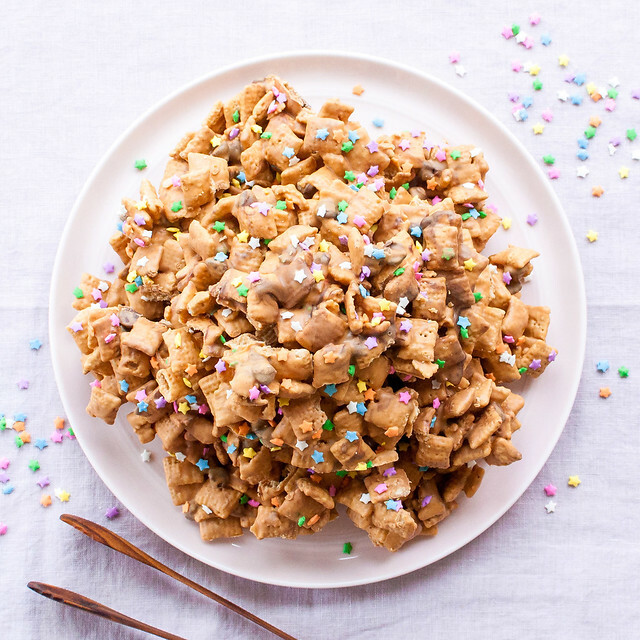 This sweet puppy chow, one of two versions I remember from childhood, is for human consumption only, filled with butterscotch flavor, creamy peanut butter, and a handful of milk chocolate chips. Not a very dog friendly list. Maybe next time puggy…except probably not. Some quick research and a small survey of one (my Connecticut-raised husband), confirmed that puppy chow, sometimes known as muddy buddies–the sweet snack/dessert–isn’t hugely popular or well-known in many parts of the country. 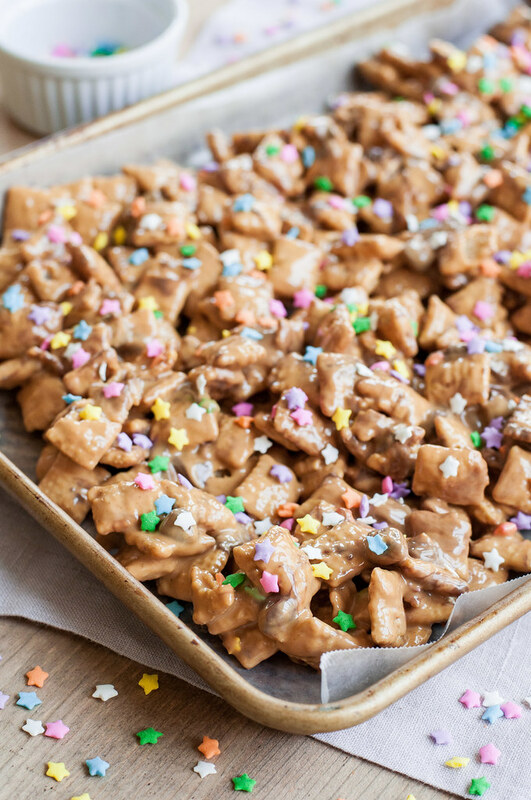 Basically, it’s gluten free (something we cared nothing about while snacking on it at sleepovers) cereal coated in some kind of melted chocolate peanut butter mixture and perhaps tossed in powdered sugar. 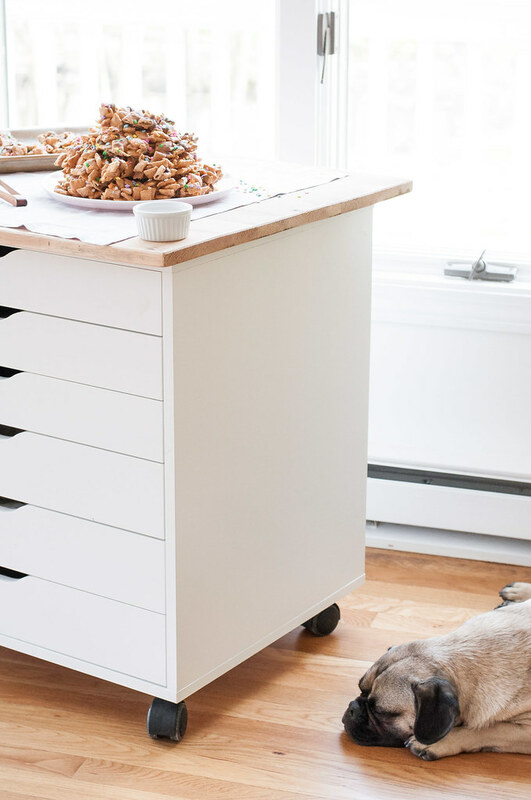 Like most traditional recipes, there are sure to be heated arguments about what does and doesn’t constitute authentic puppy chow, which is why I’m going to cover a couple variations by bringing you two puppy chow recipes on NCK. Instead of overloading you with all the sweet, addictive goodness in one post, today we’ll cover the butterscotch version, with the messier chocolate and powdered sugar recipe coming soon. 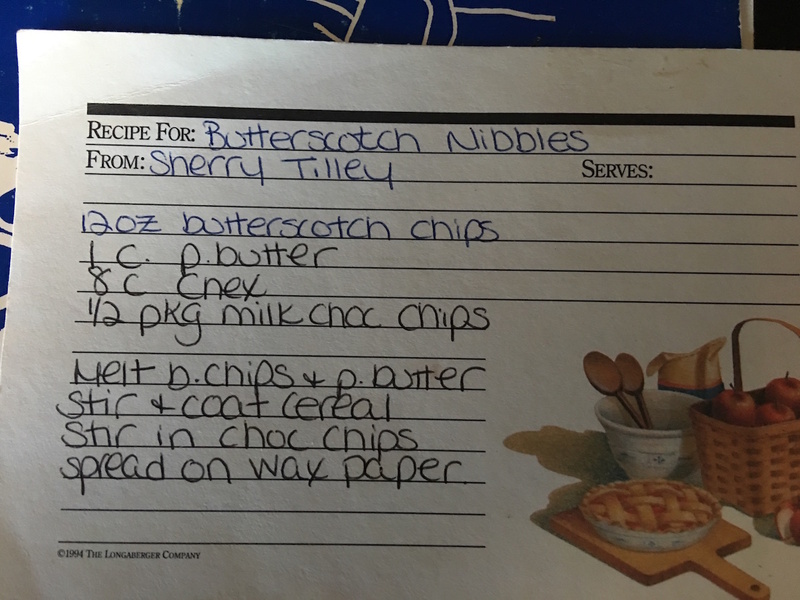 As usual with throwback recipes here on the blog, I started with a screenshot of the original recipe card that my mom texted me after incessant harassment. The ingredients are pretty timeless, and I’m not sure if it’s a good or bad thing that processed cereal and bags of stabilized chocolate chips are still available just as they were 20 or more years ago. Believe it or not, though, in the smallest of doses, I don’t think some processed food will kill me, so I went for it here without upgrading to organic cereal, homemade peanut butter, or vegan chocolate chips. 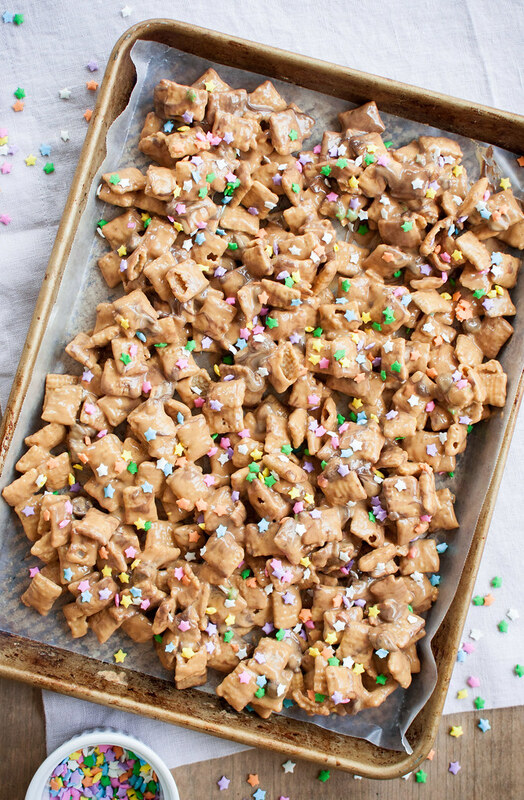 You can, of course, feel free to do so, and I’ll gain infinite respect for you, but I’m going to enjoy my butterscotch puppy chow in all its original glory. 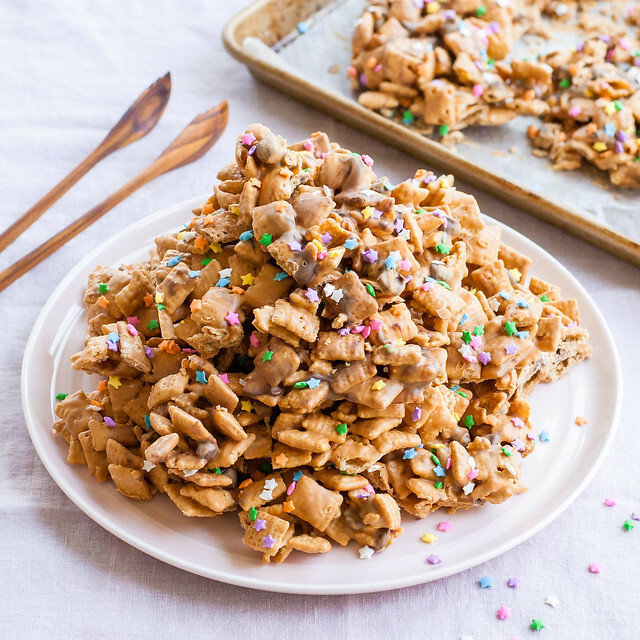 If it even counts as an adaptation, the only change I made to the recipe is to liberally dot the sweet cereal clusters with sprinkles while the butterscotch mixture is still melted and wet. It’s delicious with or without the sprinkles, but they’re super fun annnndddd plain old brown food does not tend to be photogenic, which doesn’t bode well for my argument to, say, a sophisticated New York palate, that they must make this weird snack named after pet food. The finished product is best kept at cooler temperatures to avoid a melty mess and butterscotch fingerprints all over your kitchen, but if you can manage that, it would be amazing to order some theme-specific sprinkles and pack this stuff up in little gift bags or jars as a party favor. My mom actually texted me this week that she made it for a bridal shower at work, since the bride is gluten free and so is this dessert! Anyway, you could go rainbow sprinkles for a birthday party, blue or pink (or both) for a baby shower, a couple different kinds of pretty white sprinkles for a bridal shower, or the rainbow pastel stars I used for general fun. 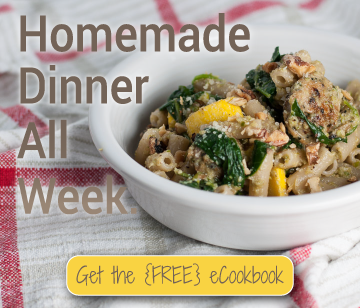 Plus, it holds up well in the fridge for a few days, so you can make it ahead, cross it off your party to-do list, and then try for three days not to snack on it. So you don’t write back angrily when the world’s easiest dessert recipe goes awry, I have one word of advice. To avoid scorched or hardened melted butterscotch chips, make sure to stir after each interval in the microwave, even if the chips don’t look melted at all. Also make sure your bowl and utensils are nice and dry, without any water droplets on them. Then snack away, and don’t save any for the dog! 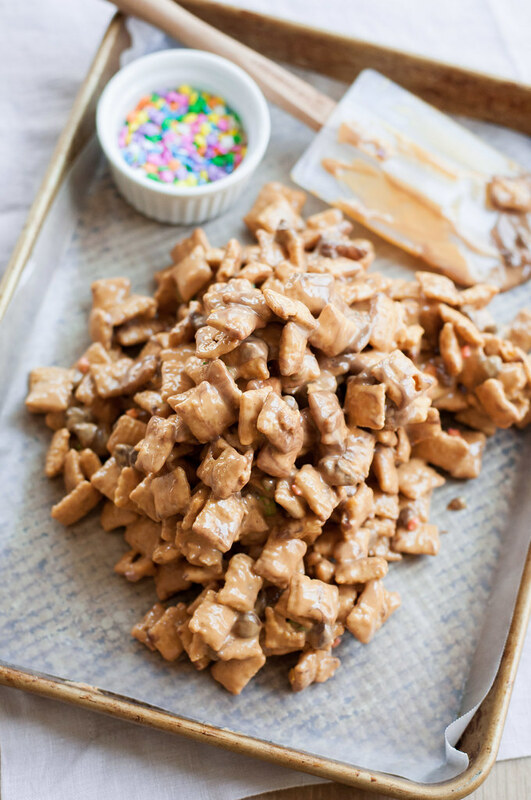 Click here for my other favorite puppy chow recipe: chocolate peanut butter! Measure butterscotch chips and peanut butter Into a large microwavable mixing bowl. Microwave (see notes) in 30 second intervals on high for 1 to 2 minutes, stirring after each interval, even if the chips don't look melted. When chips are nearly melted, stir to finish melting them completely, then stir in the sea salt. Gently fold cereal into butterscotch mixture until evenly, but not completely, coated. Add milk chocolate chips and 2 tablespoons sprinkles and fold in until you can barely see any dry bits of cereal and the chocolate chips are partially melted. Spread mixture onto a large (or two smaller) rimmed baking sheet(s) lined with wax paper. Top with remaining sprinkles while still wet. Freeze or refrigerate until set, then store in the refrigerator and watch it disappear in record time. My little sister who lives in NYC tells me that butterscotch chips are nowhere to be found at any grocer there. If you experience similar difficulties you can order them on Amazon.